Pilates Mat Class What Are You Weighting For? I know most of us are always looking to shed the weight whether physical or figurative. But, this week, I do want to bring a little weight into our practice. Just a little bit. Like 1lb or 2 lbs. 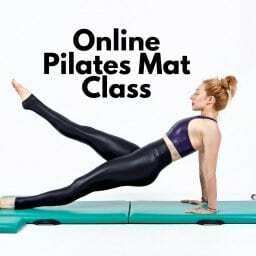 Home Online Mat Pilates Classes Pilates Mat Class: What Are You Weighting For? If you’ve got little hand weights bring them with you. If you’re traveling or at your office and you don’t no worries! The mind is a beautiful thing. 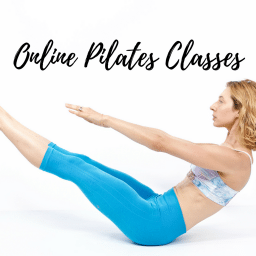 Grab your real or imaginary hand weights and join me as we explore what a little weight can do for our Pilates practice. START DATE & TIME: Tuesday, February 5, 2019 2:00pm PST (check your timezone). If 7 days from class start time has passed, you can find the next available class here. EQUIPMENT NEEDED: Your awesome self, a set of 1 or 2 lb weights, and a mat! Weights are not imperative to take this class. Ok, I’m coming clean! I absolutely hate stretching post a run or workout with my trainer. I mean, I would rather do a full on mat workout after a run or training session than sit and stretch or roll. And while there are plenty of opinions on whether or not stretching even works. What I can say from experience is that using Pilates as my cross training has kept me injury free even when I was a competitive runner. So, this week’s class is taking the mat workout as a post-run/spin/elliptical or cross-training workout. How can we use the mat to open up what those workouts tighten up? How can we strengthen what those workouts overlook and how can we check in with where our body is that day? I hope you enjoy this weeks mat class! It’s that time of year! The holidays are here. Crazy schedules, lots of food, parties candy! 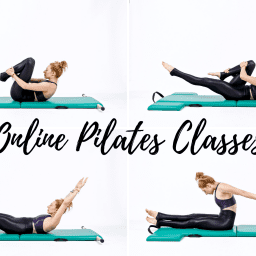 This is the time when your Pilates mat practice counts the most! This week, we will go a little out of order, and make our way to our fabulous hundred. Like it or love it the Hundred ahem the Holidays are here! And this week I hope you find more than a few times to hit the mat. I know I will! Join Lesley Logan for a 30 min Pilates mat class designed for you to do anywhere you can lay down! Seriously, Pilates was designed on the mat first. Sometimes we can’t get to a studio, can’t leave the house, office or we are off traveling. Lesley’s mat class is perfect for your 30 min window dedicated to all things you. 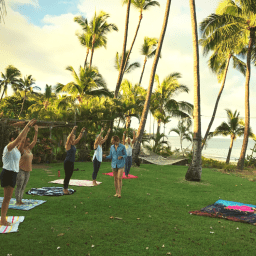 Turn your notifications off and lay out your mat (or even a towel) and get connected to your mat. Your mat is just like a piece of equipment. It gives you feedback on what’s touching, not touching and supports your movements. So, what are you waiting for? Let’s get connected! Whether you love or hate the Teaser it’s probably here to stay! And, with so many variations and ways to do it around the studio, it’s easy to think it’s our peak Pilates pose! While it’s not – and all exercises are created equal – it’s integral to your practice to squeeze all the stretch and strength out of it! So, this week, we dive into many ways to Teaser! Ok, so I know that title is bizarre but I didn’t want you to see Jackknife and skip this week. Here’s the thing, I LOVE this exercise but it’s not for everyone and if you’re not going overhead I wanted you to know I still have a class for you. SO! We are going to add the Double Straight Leg Stretch to class even though its March Matness and this way we can use the beauty of both to take us through our mat practice. Pilates will always meet you where you are! Are you ready? Good morning, aloha! Welcome to Maui, I’m here with Arlene again. It is Day 2 and we are about to do a mat class. This one is actually going to introduce some archival standing stuff. And then see how that just warms up the body and then doing the rest of our mat work. So, I hope you enjoy it! Each week we often dive into just one exercise and how it flows through our mat. But this week we feel how each exercise prepares us for the one that comes right after. It’s a fun way to think about your mat and how every exercise is as important as the one before and after it! Also, this week I was in my hotel room. 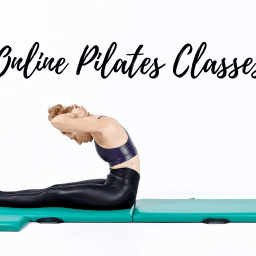 So, if you thought you had to have a mat and a home workout space to do class, you’ll see that you can still get your Pilates on in a small space! Last week’s mat class was a big hit, and we got lots of feedback, so this week we’re keeping the theme but putting a new twist on it! It’s easy to think “shoulder back” or “heart open” but what if in trying to open your chest you accidentally closed your back? Sometimes good cues can cause bad habits. So this week let’s try to hone our extension and openness skills without creating tension or bad habits! !